Entertainers, writers, environmentalists and politicians from around the world have today thanked Miranda Gibson, in the Observer Tree in Tasmania, for standing up for the environment by sitting in a tree for one year. Musicians Nick Cave, John Butler, Urthboy and Blue King Brown, Daryl Hannah, environmentalist Bob Brown, Australian Greens Leader Senator Christine Milne, Independent Member of Parliament Andrew Wilkie, Peter Cundall, and Dr Peter McQuillan and US environmentalists, Derrick Jensen and Julia Butterfly Hill, Tasmanian Greens State MPs Nick McKim, Cassy O’Connor, Kim Booth, Paul O’Halloran and Tim Morris, have thanked Miranda for her ground-breaking efforts in highlighting the plight of Tasmania’s globally significant forests. John Butler acknowledged Miranda’s dedication and commitment as an inspiration, “Miranda’s long and lofty vigil over one of our most precious national treasures is to be commended and celebrated. Blue King Brown said “Miranda’s commitment to protecting the forest is nothing short of inspiring. “It highlights what’s necessary to fight against the corporate push to exploit and destroy ancient natural resources for short term financial gain. The Former Greens Leader, environmentalist Bob Brown said, “Besides being a highlight at all the talks I have given in 2012, your voice, over the phone or via electronic links never fails to fascinate a hall full of people. Greens Leader, Senator Christine Milne said, “Congratulations Miranda– you have brought the changing seasons and moods of Tasmania’s magnificent forests to the attention of the world. “Your quiet determination and commitment to protect our wildlife, our birds and our biodiversity is an inspiration in a world where people want a quick fix and move on. Tim Levinson aka Urthboy said, “I’ve spent an hour or two frozen to the bone in the Tassie cold but it always ended in the warmth of a hotel room. To think that anyone would volunteer to put their own life on the line out in the forest like Miranda should be acknowledged for what it is: immense bravery and great courage of conviction. Author Derrick Jensen said, “Thank you, Miranda, for who you are that would cause you to act. Dr Peter B. McQuillan, of the School of Geography & Environmental Studies at the University of Tasmania praised Miranda’s patient advocacy. “It will take another century to even discover all the species which make up these inspirational ecosystems. Andrew Wilkie, Independent Member for Denison said, “Miranda’s peaceful protest is helping to keep the spotlight on the need to protect Tasmania’s precious native forests. Julia Butterfly Hill, an American activist and environmentalist, said, “Miranda Gibson is taking a powerful stand not only on behalf of Tasmania’s forests, but also on behalf of the millions of people all over the world who know and understand that it is absolutely vital that we protect them. 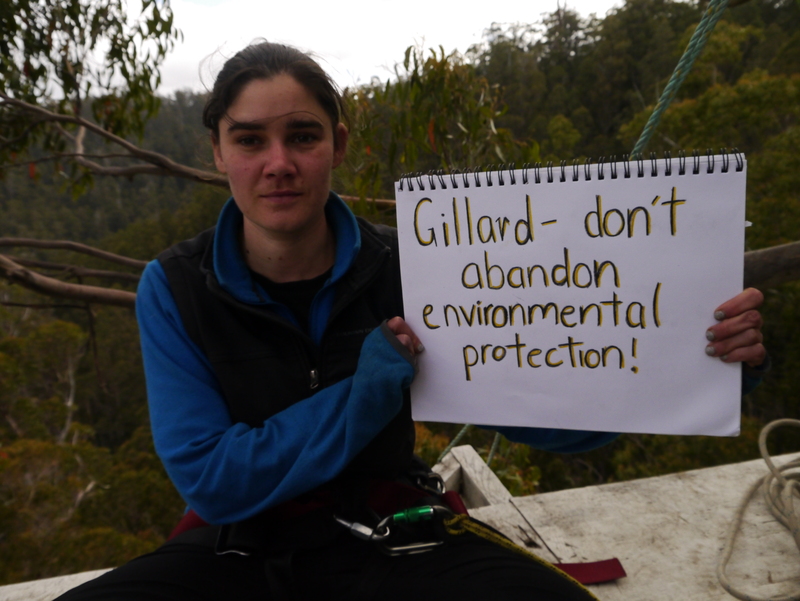 14 December 2012 – As Miranda Gibson today reaches the one year mark perched in her tree platform in the canopy of an unprotected world heritage value Tasmanian old growth forest, twenty-five environment groups around the nation have applauded her record-breaking effort and supported her call for forest protection. “We are facing an extinction crisis in Australia. Now, more than ever, we need to protect our unique native forests, which are home to threatened and endangered species.” Lauren Caulfield stated. “Never before in Australia have we seen one person maintaining a tree top vigil and blockade for anything like this long. In an extraordinary feat of determination and endurance, for 365 days Miranda has not left her 3.5 metre wide platform, 60 metres high in the canopy. Through blistering summer heat and smoke from nearby bushfires and then freezing winter snow this incredible young woman has persevered.” Peg Putt said. “We join with Miranda in calling for a secure future for these magnificent natural forests, together with the wedge-tailed eagles, Tasmanian devils and many other birds and animals reliant on them for survival. We ask people around the planet to support her outstanding effort and stand with her for our forests down under,” said Mr Ricketts. 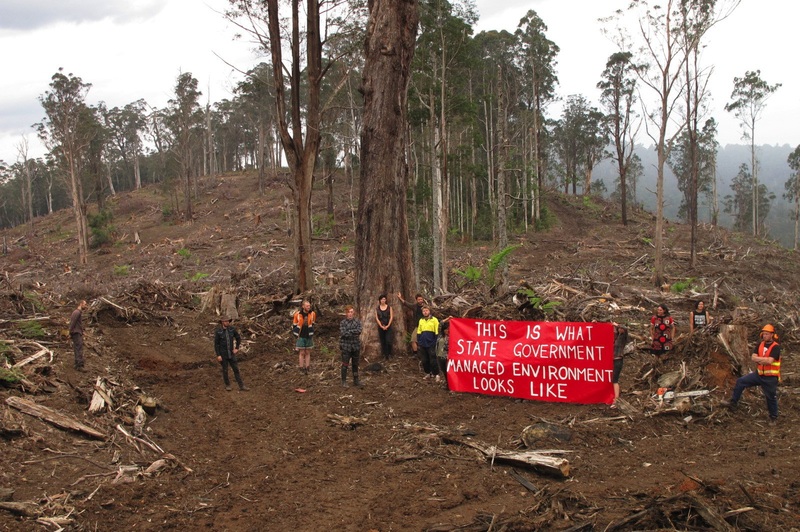 “The WA Forest Alliance extends their gratitude and admiration to Miranda. All around the country native forest logging is continuing despite being financially unviable and highly destructive. We’re confident that with the commitment and creativity being displayed by activists around the country, we will see national forest protection achieved in the not too distant future. Miranda is the flagship for forest activism in Australia, and she is doing an amazing thing.” said Jess Beckerling, spokesperson for the WA Forest Alliance. ‘In support of Miranda Gibson in the Observer Tree:’ Rainforest Information Centre, Friends of The Earth Australia, Markets for Change, Virginia Young and Jarrah Vercoe, WA Forest Alliance, Environment East Gippsland, Geco – Goongerah Environment Centre, Colong Foundation For Wilderness, South East Region Conservation Alliance, Chipstop, Bega Environment Network, ChipBusters, North East Forest Alliance, Forestmedia, Huon Valley Environment Centre Inc, Spirit of Bruny, Nature Photographers Tasmania, Groundswell, Florentine Protection Society Inc, Friends of the Tamar Valley, Save Bahrs Scrub Alliance , Gecko – Gold Coast and Hinterland Council, Logan and Albert Conservation Association, Friends of Durras, South East Forest Rescue. December 14, 2012 – Miranda Gibson will mark her one year in a tree today with international events and a (never before done) live stream event from the tree tops. Miranda has been vindicated in her decision to remain as a forest protector and beacon of hope, as logging continues in high conservation value forests in Tasmania. Miranda Gibson said, “Today marks one year since I climbed to the top of this tree and vowed to stay until the forest is protected. For the sake of the forests I wish I had not reached this milestone. 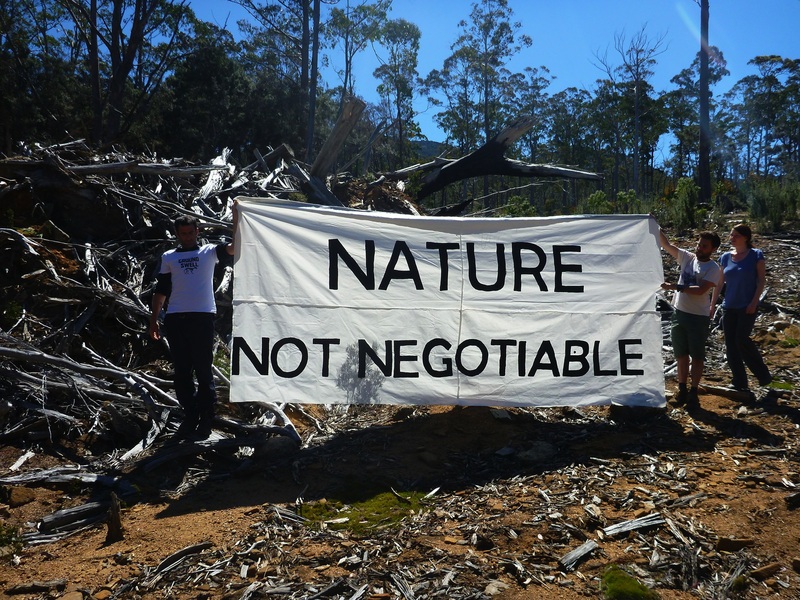 The following critique of the forest agreement has been prepared by Miranda Gibson of Still Wild Stil Threatened and Jenny Weber of the Huon Valley Environment Center. We hope this will help to unpack some of the detail in the agreement and dispel some of the myths about what it will mean for our forests. Please read and share. 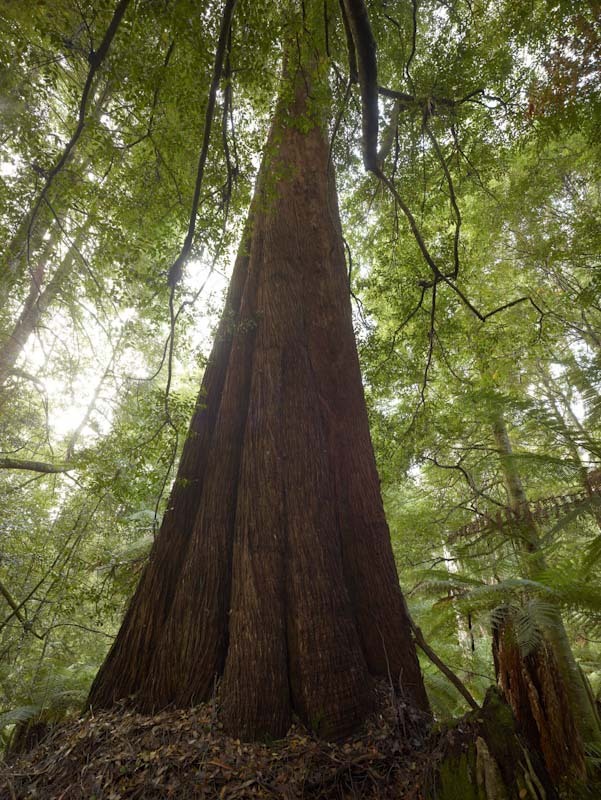 Upon scrutiny of the forest agreement environment groups Still Wild Still Threatened and the Huon Valley Environment Center are today raising concerns about the certainty for the protection of forests. “It is far too early to be claiming a win for the environment based on this agreement, because the forests remain under threat. Even if it is passed by the Legislative Council, the deal offers no clear time frames for protection. And in fact, it allows for the continued logging of those areas that are ear-marked for protection. I have made the commitment to stay in the Observer Tree until the forest is protected and as this is still uncertain, I will be remaining in the tree” said Miranda Gibson of Still Wild Still Threatened. “We should not be overstating the real figures in this agreement. To say that there are over half a million hectares protected is misleading. The 395,000ha, which will make up the first tranche, is the only figure that is likely to even receive protection, yet even that remains uncertain. And in addition will eroded by a further logging. The agreement leaves little room for confidence that the rest will ever see protection. Even this 395,000 remains uncertain, being subject to a range of clauses, durability reports, rescheduling and ongoing logging in the meantime” said Jenny Weber of the Huon Valley Environment Center said Jenny Weber of the Huon Valley Environment Center. “This agreement could have been an opportunity to move Tasmania forward, but instead it feels like we are going backwards. Entrenching ongoing native forest logging and in particular a return to woodchipping. This is a part of the industry that has already caused massive destruction to Tasmania’s environment and proven to be a failure in today’s economy” said Miranda Gibson. “We will continue to speak up for the forests, because this agreement cannot be seen as the end of all environmental progress in Tasmania. Tasmania would set a dangerous precedent to allow this deal to be used to silence community engagement and public debate around such a critical issue” said Miranda Gibson. Conservationists from Still Wild Still Threatened have today halted logging operations at Butlers Gorge, in a call for forest protection. 10 people have gathered at the gate of a logging road that accesses several forestry operations in the area. One person is perched on a 5 meter high tripod in the middle of the road. “Butlers Gorge is one of the state’s most significant tracts of wilderness and has been independently verified as world heritage value. This forest, which was proven to have outstanding values, through the verification assessment, has been subject to intensive logging despite being part of a promised moratorium over a year ago ” said Still Wild Still Threatened spokesperson Miranda Gibson. 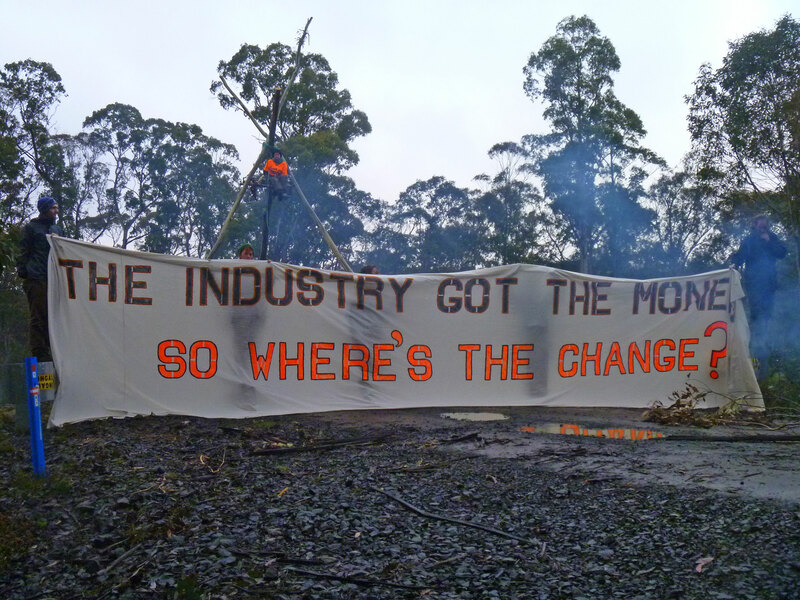 “The industry has received around $130 million through the negotiation process, yet logging has continued business as usual in forests like Butlers Gorge and there has been not one hectare of forest protected” said Ms Gibson. 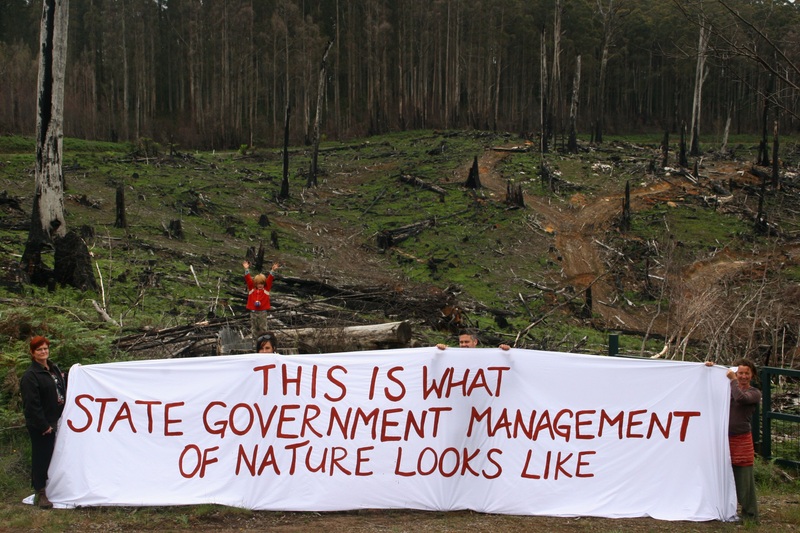 Media Release: Conservationists call on government to take responsibility for forests. Reports in the media today that signatories to the forest negotiations are continuing informal talks has raised questions about the future of the process. Still Wild Still Threatened are calling for transparency in the process and asking the government to now take responsibility for forest protection.